When a colleague asked me recently if I could write an article for our blog about my work as a woman in the ‘male domain’ of IT, it was a strange moment. I’ve been working as an Android developer on the Mobile-Development-team at itemis for over a year, and so far I've just worked with colleagues in the team who brought the right skills to the project without ever considering gender distribution. Now that I start to think about it, do I feel like ‘a woman in a male domain’ at itemis? Let’s start at the beginning: my job interview for itemis in Lünen. My first impression was that I mainly met men, and no women, in the corridors and offices. I remember that then and afterwards I thought ‘There are only men here!’ This seemed strange. That impression became relative when I started working here. On the one hand this was because there are of course also female employees at itemis, although still only a few of them are developers. On the other hand because I have experienced cooperation in the mobile team simply as cooperation in the team, my colleagues just happened to be men. So yes, I work here as one of only a few women among many men. What I found remarkable, though, was the fact that, until I came to write this article, I was hardly aware of it. IT – a male-dominated industry? Nevertheless, IT is still considered a male domain. But why? IT itself is not at all misogynistic. 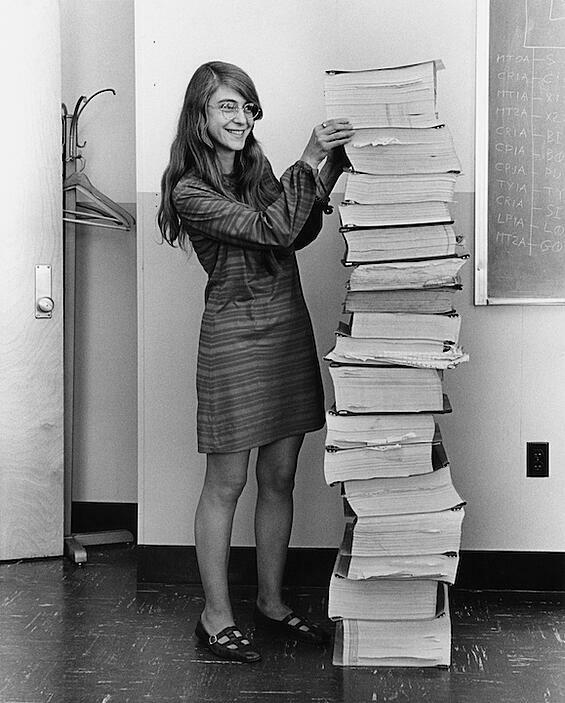 It just sort of happens that currently not many women are working in this field - yet. I think this is nothing more than a historical leftover. I would like to make quite clear at this point that, just because I personally do not experience sexism at my workplace, I don’t think that this problem no longer exists in society. On the contrary: I encounter sexism on the train, in the city, in pubs and in sport – almost anywhere except at work. As a co-worker in this company I have never experienced that my voice was any less heard, or my performance rated lower because of my gender. itemis has a good sense of community. We work together on joint projects encouraging cooperation instead of competition, both between male and female employees and in general. That’s why itemis is special. My impression is that you don’t get to work here because you’re a man or a woman, but because you’re right for us. We’re a handpicked bunch of people who are here because of our individual personalities and competences, that is, a select set of professional, technical and interpersonal skills. In my opinion itemis creates the most important basis for working well together by by their selection process of new members for our team. As a colleague recently said: it is not hierarchies but competences, that shape the ways we communicate and work together. For example, if I, being a developer, need to discuss a specific topic, I can speak with my boss as easily as with a bunch of colleagues. And it shows that this approach bears fruits – in our success and our order book: at the moment we have so many orders and requests that we urgently need to expand our team – preferably with you! 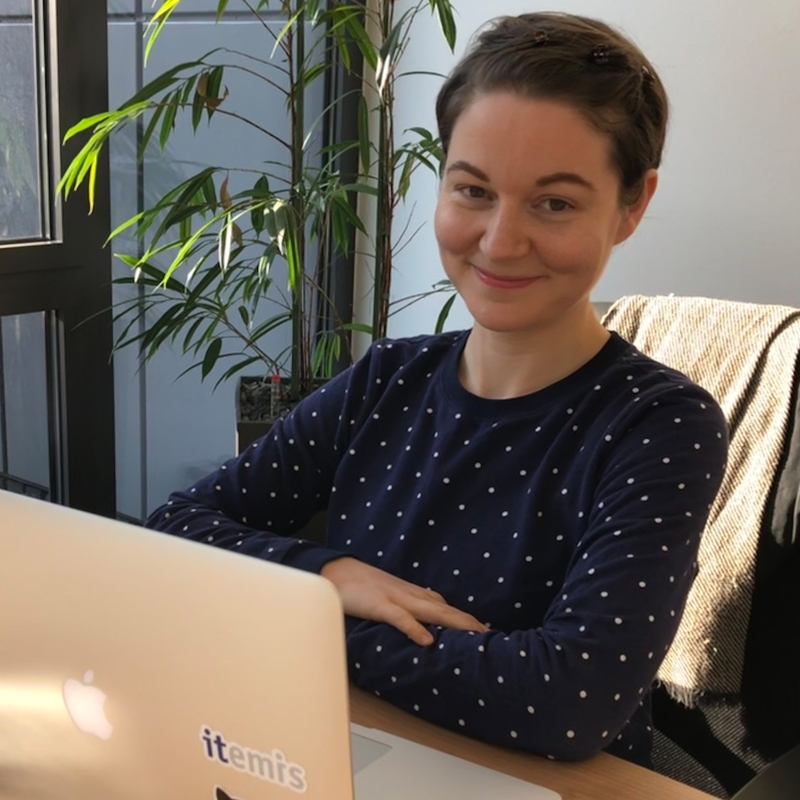 Leïli Nikbin is a software developer with a focus on Mobile Development & Java EE at itemis AG. Personal intention: UnitTests as specification and last but not least to implement the good old clean code even more radically in the project.